The Ravioli House is the oldest Italian Restaurant in the City of Wildwood, NJ. The Ravioli House and Pastry Shop is an Italian family restaurant with a complete take-out service. The pastry shop cases are filled with beautiful and delightful pastry, cakes and pies. Stop in today and choose from our vast selection. It is still owned and operated by the DeSanctis family. Antonio and Teresa came to Philadelphia from Italy to live with relatives. Every summer their families would travel to Wildwood to stay with Antonio's aunt, who owned a building where she made homemade pasta. Teresa loved the idea of owning a restaurant, and in 1970 the Ravioli House opened its doors for the first time. The Ravioli House provides a warm and inviting ambiance with beautiful murals of towns and villages in Italy. Customers enjoy authentic Italian cuisine to the soundtrack of soft Italian music. At the Ravioli House, everything is homemade. It is just like eating in your grandmother's kitchen. Choose from spaghetti, linguini, fettuccini, angel hair, rigatoni, gnocchi, potato gnocchi, and cavatelli. 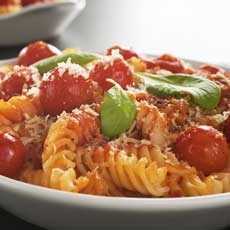 Then select one of 10 sauces to enjoy a pasta feast just the way you like it. Pasta selections don't stop here. Try the stuffed shells, manicotti, baked ziti, and ravioli, or try 'The Trip Around Italy' for a true taste sensation.